Not quite as pithy but, still, you get the idea. When we play, we learn. Today more and more educators, academics and policymakers agree that play has a vital role in children’s social and psychological development, particularly young children’s. 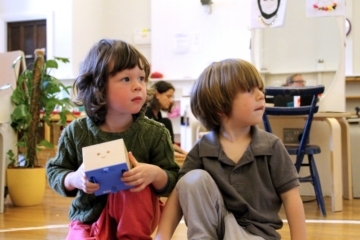 In a Play England report, research found that play encourages a child’s creative thinking and independence; develops problem-solving skills and their ability to deal with stressful situations; and aids their physical and mental health. In this blog post, we look at those essential tools that for centuries have helped children learn through play – toys. More specifically, we follow the story of the educational toy – from humble wooden alphabet block in the 16th century to the increasingly sophisticated coding toys of today. What is an Educational Toy? First, let’s get our terminology straight. What exactly do we mean by an educational toy or learning toys in general? Many would say, quite rightly, that any toy can educate in one way or other. However, we’d argue that there’s a difference between a plaything that has incidental educational value and one that has been designed specifically to educate. So when we talk about educational toys and games in this post, we mean those that are built to help children of different ages reach different educational milestones, in order to enhance their intellectual, social, emotional and physical development. One of the first recorded mentions of an educational toy as such, comes from the great Enlightenment philosopher, John Locke (1632-1704). In 1693 he published Some Thoughts Concerning Education, which is today regarded the most influential British book on childhood. In it Locke put forward the revolutionary idea that the way a child turned out had nothing to do with God (a great anxiety of parents in the Middle Ages and Protestant Reformation), and everything to do with education. As part of their upbringing, Locke argued, they should ‘not be hinder’d from being children, or from playing’ and, importantly for our story, they should also ‘have Play-things’. More specifically, he promoted ‘dice and play-things, with the letters on them to teach children the alphabet by playing.’ In short, Locke believe that alphabet blocks would make early literacy more enjoyable for children. Children’s wooden blocks weren’t novel, but Locke’s assessment of their educational value was. 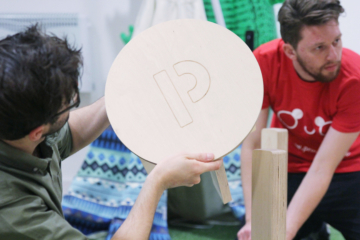 In the centuries following, several other European pedagogues developed systematic ways to utilize play in educational programmes, building on the principles of wooden blocks. 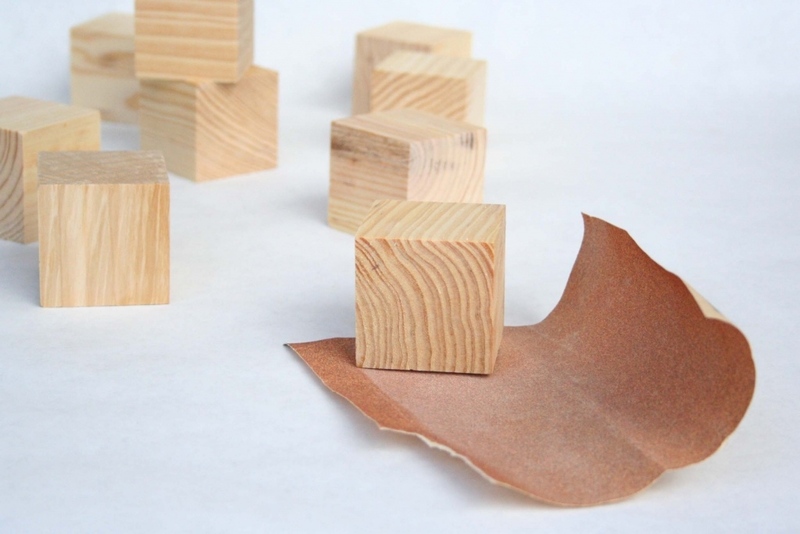 In 1811 the Anglo-Irish writer, inventor and politician Richard Lovell Edgeworth (1744-1817) described wood blocks as “rational toys”, which could teach children about gravity and physics, as well as spatial relationships. Then in 1837 and Friedrich Froebel (1782-1852), the German pedagogue best known as the inventor of kindergarten, developed his ‘Froebel Gifts’ – a set of wooden play materials designed for hands-on learning. Froebel intended that these ‘gifts’, which included wooden blocks alongside objects like a wooden sphere and cylinder and a soft, colourful woollen ball, would teach children about themselves and the world around them. An idealist, Froebel asserted that his materials could help children understand that different things could be created by different materials, while also demonstrating the unity of the universe – that opposites could be resolved. Moreover, alongside helping the child realise that he or she could create beautiful objects, these simple wooden toys and games might even teach morality too. Quite the advanced toddler toys. Cut forward to the end of the 1800s and the wooden block received another major makeover. Building on Froebel’s work, Italian educator and doctor Maria Montessori (1870-1952), introduced her sensorial materials, a variety of colourful wooden objects of different finishes and geometrical shapes. Like Froebel she took inspiration from the essential elements of the natural play activities of children, designing her materials around these elements. 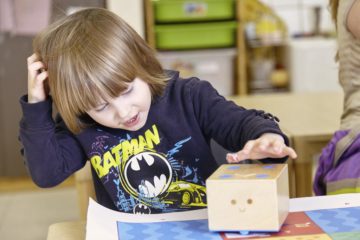 Significantly, Montessori also designed her sensorial materials to have ‘control of error’ – that is to say that the child can self-correct while playing with the materials on their own, rather than having to seek help from the teacher. The idea was that control of error helped the child develop independence and problem-solving skills. 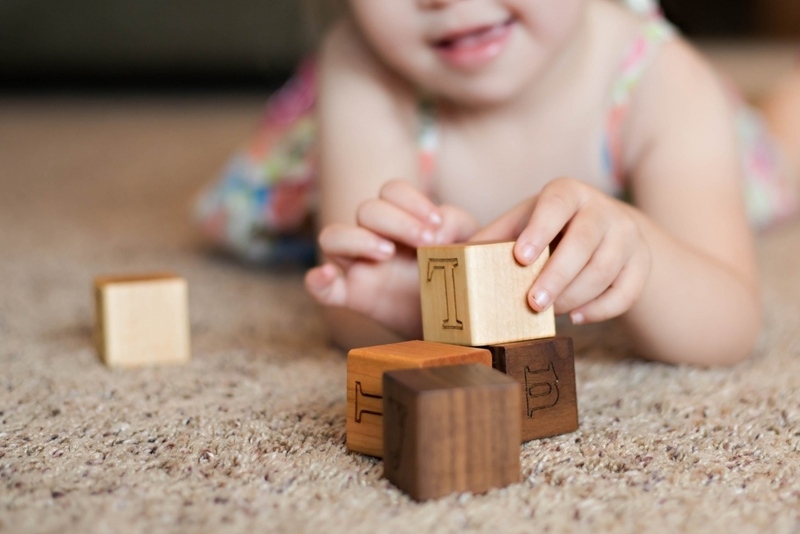 It’s impossible to over-emphasise the importance that this idea, and indeed all of Montessori’s teaching ideology, has on everything we do here at Primo Toys. To understand how the educational toy advanced in the 20th century isn’t just to understand how technology and education changed during the period, but also how popular notions of childhood changed too. It’s common to hear that childhood itself is a 20th-century construct, and up to this point children were seen as ‘little adults’. Historians like Professor Hugh Cunningham have sought to disprove this notion, demonstrating that childhood was seen as a distinct period of time from the Middle Ages on. However, there is a clear demarcation between the treatment of children today and those in, say, Victorian Britain. The boom in educational toys that we see in the 20th century is directly linked to a change in how children were treated, with a renewed focus on the health of children, on relieving poverty and in the education of children, all of which have contributed to a prolonging of childhood. So the first thing to say is that the 20th Century didn’t mean the end of *ahem* ‘wooden block innovation’. In the 1950s George Cuisenaire, a violin player who also taught arithmetic at school, introduced his own wooden, cuboid learning aids. ‘Cuisenaire Rods’ were designed to help elementary school pupils learn mathematical concepts like the four basic arithmetical operations, working with fractions and finding divisors with a hands on approach. 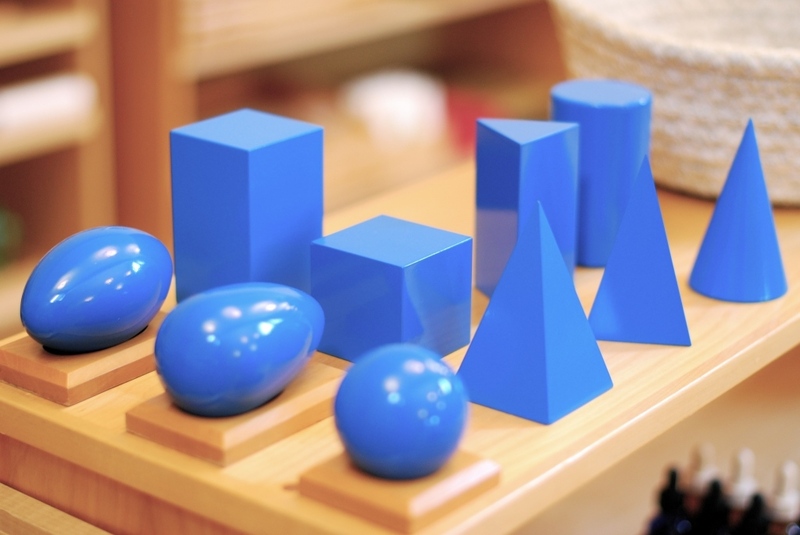 Like Froebel’s gifts and Montessori’s sensory materials, these simple objects remain popular in mathematics classrooms across the world today, and have even been embraced warmly by language school teachers too. But it would be a dull, and not a little remiss, if all we did was wax poetic only about the history and evolution of the wooden toy. In the latter part of the 20th century, innovations in digital technology (computers, robotics, the internet), and a greater emphasis on the importance of a child’s education, saw the rise of the educational toys that we know today. Some good, some less so. Here we run through five of note. 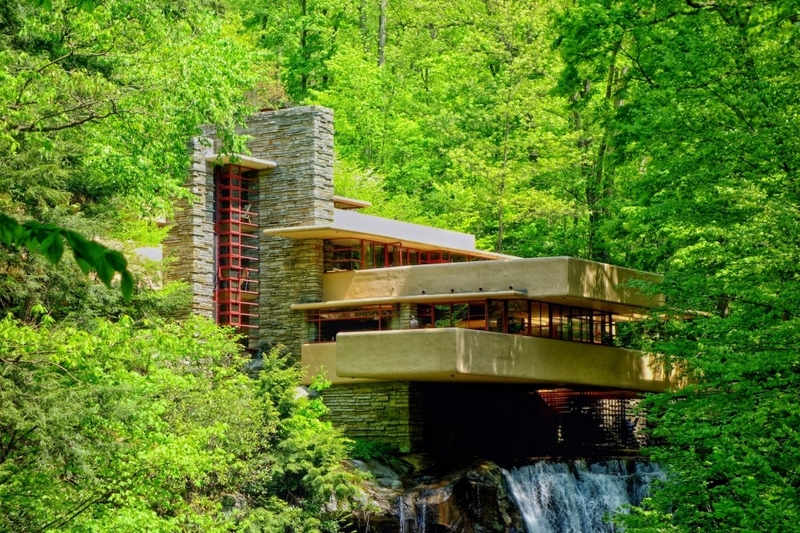 It begins with Jean Piaget, the Swiss clinical psychologist, who theorized that children must first construct knowledge through “concrete operations” before moving on to “formal operations”. In doing so he provided an epistemological foundation for the ideas and objects created by Montessori, Froebels and Cuisenaire. But also inspired his student, Seymour Papert (who would become the grandfather of educational coding) to build his own educational toy informed by Piaget’s constructivist thinking. For those who haven’t seen the Logo Turtle in action, the child writes commands for movement to produce line graphics with a small robot – a turtle armed with a pen. Writing in Mindstorms, his phenomenally influential book on how to introduce computational thinking to children, he called the turtle an ‘object to think with’. For many of my own generation, this was our first introduction into programming. If I find myself mentioning the Logo Turtle for the first time in a conversation with a new friend, colleague or acquaintance of my age, it’s always a pleasure to see their eyes light up. Released before the turtle, the Raytheon Lectron also deserves a mention. A modular electronic experimentation kit designed to introduce young people to basic electronic circuits and theory, it was distributed from 1967 in the US and Europe (where it was sold as the Braun Lectron system). While no sets were sold past 1969 in the US, the toy is still being manufactured in Germany today. 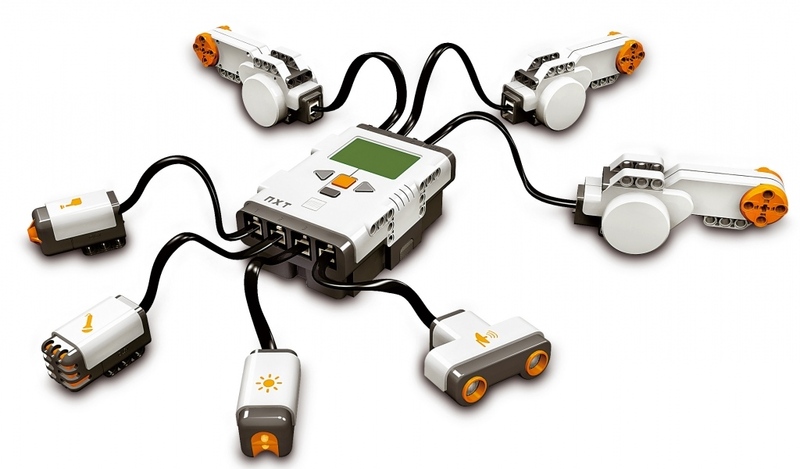 Lego Mindstorms were the first widely available and desirable toys that could help kids learn with robots – a trend that promises to keep growing as our world becomes increasingly connected. Released in 1999, this talking book helped kids learn to read. Designed by Leap Frog, and one of TIME Magazine’s 13 most influential toys of all time, it neatly encapsulates a particular kind of educational toy that became popular in the 1990s. Colourful and plastic, its makers wanted to use tech as a way to help children learn, rather than necessarily learning about tech principles. As an educational toy company that makes toys that help kids learn the basics computational thinking, it would be a bit strange if we didn’t rep our own corner just a little. Today, there is an ever growing number of toys designed to help get kids coding – ready for a world of ones and zeros, of A.I. and robots. For our part, we believe resolutely in helping children to start learning about coding through hands on, screen-less play. 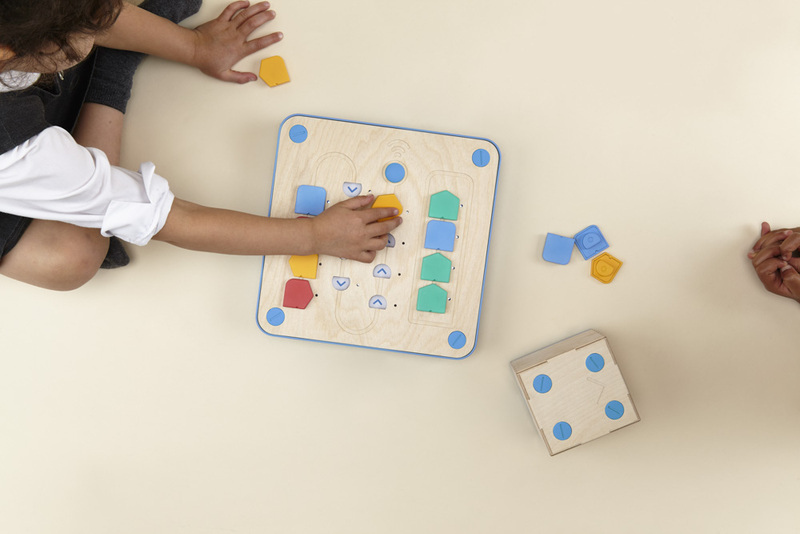 With Cubetto, we’ve handpicked some of the best bits of educational toys and educational play theory; from Montessori’s sensorial wooden blocks with ingeniously built-in ‘control of error’; to Piaget’s constructivism and Papert’s ground-breaking turtle. Because our understanding of pedagogy has evolved over time, so have the toys. As our conception of childhood has changed over the centuries, as have the toys. We don’t see them as objects of entertainment, but actual real educational tools that shape us as adults. We hope that in 20 or 200 years time, our own wooden robot will be mentioned in the same hallowed breath as Locke, Froebel’s and all those other learning toy innovators.